A recent recruitment drive by IndiGo also saw a lot of participation of senior workers from Jet Airways who are facing delay in their salaries. IndiGo has recently been on a hiring spree with simultaneous recruitment drives, as per a report. As the airline prepares to soon start its maiden flight to Europe (Istanbul), it looks to expand and have at least one aircraft per week. To successfully lead this expansion plan, Indigo needs more senior pilots. Hence, the Gurugram-based airline is looking to hire 120 expatriate pilots by June 2019, taking their total number to 160. One of these recruitment drives was recently held in Mumbai and one took place in Delhi last week. Many employees from Jet Airways also came in for the interview and as per the report, Indigo is trying to attract them with good compensation packages. To lure talent, they have offered compensation for overdue salaries to senior pilots, especially to those belonging to Jet Airways. In fact, some of the selected candidates were given on-the-spot offers, in addition to reassurances that their salaries will be credited on time. One of the pilots who shared the update was reported saying, "Jet Airways is one of the better paymasters in the industry. However, the recent salary delays have forced many pilots to dip into their savings. So, when an opportunity like this presents, there’s no harm in checking out offers from other airlines (like IndiGo)." 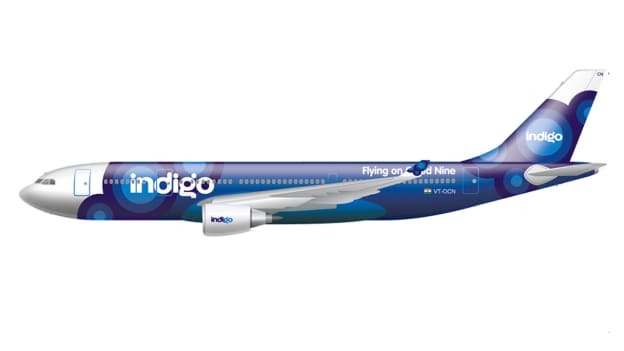 IndiGo which has a fleet of 213 planes, including Airbus A320neo and ATR aircraft has an aggressive expansion in place and the financial crisis one of its competitors is currently facing seems to work in their favor. Despite the financial crisis, Jet Airways and many other airlines stand as good competition for IndiGo. Talent from planning to execution will play a huge role for the airline in making it stand out in the market for its own unique features and services. How and when does this smooth expansion unfold is to look forward to.